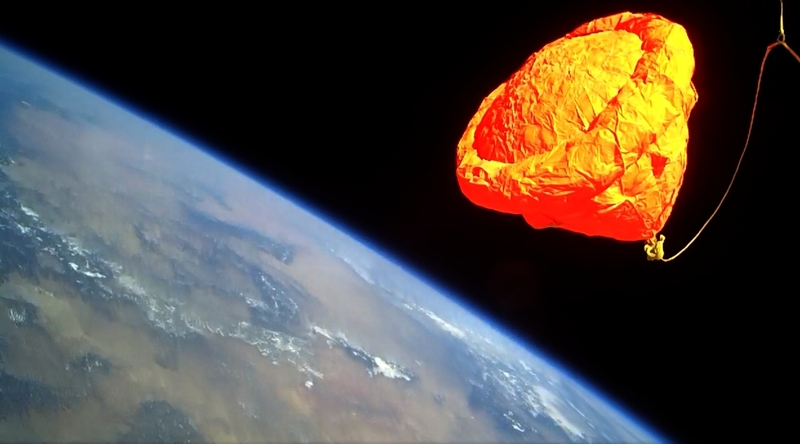 View of parachute ballute deployment at apogee during Armadillo Aerospace’s STIG-A III rocket launched from Spaceport America, taken January 28, 2012 (Credits: Armadillo Aerospace). 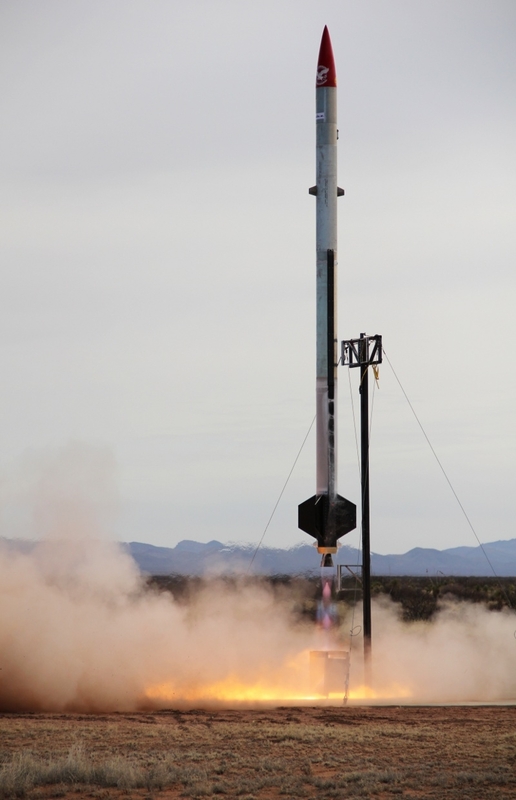 UPHAM, NM – New Mexico Spaceport Authority (NMSA) officials announced today a launch of a “STIG-A” rocket designed and built by Armadillo Aerospace. The launch took place from Spaceport America’s vertical launch complex on Saturday, January 28, 2012. The research and development test flight was a non-public, unpublished event at the request of Armadillo Aerospace, as the company is testing proprietary advanced launch technologies. Armadillo Aerospace's STIG-A III Rocket Launches Successfully from Spaceport America (Credits: Armadillo Aerospace). Saturday’s Armadillo launch successfully lifted off at approximately 11:15 a.m. (MDT), which was within the dedicated, five-hour launch window, and flight data indicates the rocket attained a maximum altitude of approximately 82-km (~50 miles). A failure of the ballute (balloon- parachute) recovery system meant that the GPS steerable main parachute could not be deployed as intended, however the vehicle was successfully recovered within the predicted operating area and the nose cone and ballute were separately recovered intact on the Spaceport property. 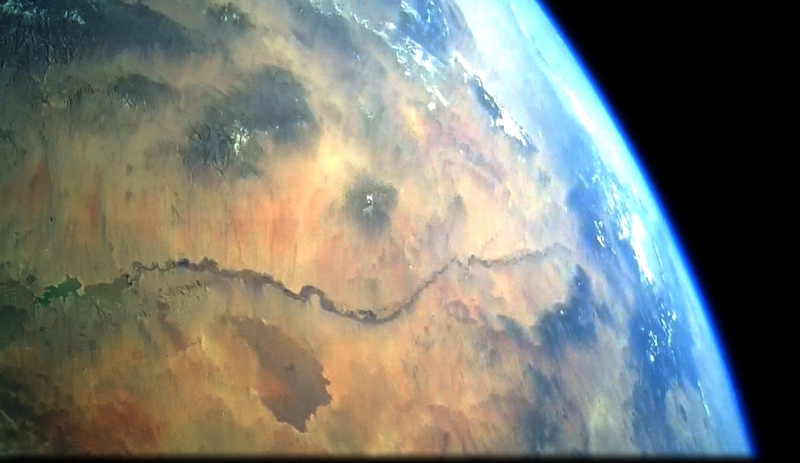 The images captured by the rocket-mounted camera at apogee also serve to indicate the spectacular views of the Rio Grande valley that await future private astronauts. The next incremental step for Armadillo Aerospace will be a 100-km (~62 miles) plus “space shot” with the successor vehicle STIG-B, which is provisionally scheduled to launch in early spring from Spaceport America. View of the Rio Grande River valley from 239,000 ft (~50 mi) aboard Armadillo Aerospace’s STIG-A III rocket (Credits: Armadillo Aerospace).